"I have always lived deliberately." These are the words of an exceptional poet who, in Trouble Light, has concentrated on the themes closest to his heart and mind: working-class ethnicity, family life, war and recovery from war, prisons and the prisons we create within ourselves, personal loss, and our inability to heal from certain injuries. The author himself adds, "The poems about Italy that make up the last section of Trouble Light are not pastoral poems of the landscape, but poems about memory and the connectedness of historical experience." 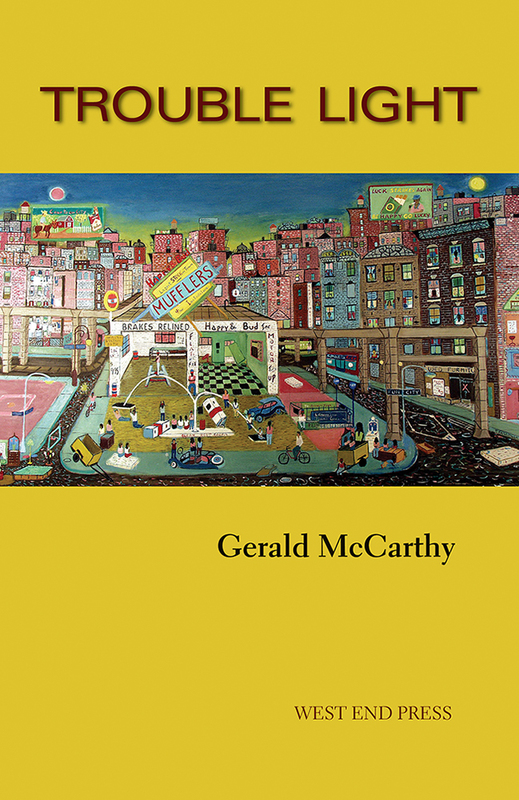 Gerald McCarthy was born in Endicott, New York, the eldest son of an Italian mother and Irish-American father. He left home at seventeen to join the Marines, served a tour of duty in Vietnam, then deserted the military. After his release from military prison and civilian jail, he worked as a stonecutter, shoe factory worker, and peace activist. He attended the Iowa Writers' Workshop and taught writing at Attica Prison and in migrant labor camps, jails, and schools. McCarthy has published two earlier collections of poetry, War Story (1977) and Shoetown (1992), and his work has been anthologized frequently. He has lived and traveled widely in Italy, having been selected twice as visiting artist at the American Academy in Rome. He teaches writing at St. Thomas Aquinas College and lives with his wife and three sons in Nyack, New York.